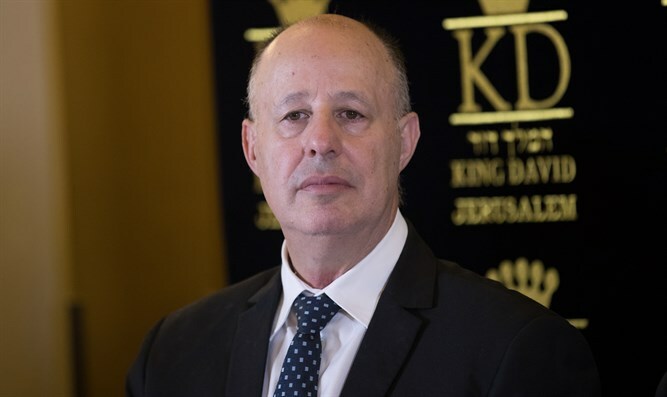 Minister of Regional Cooperation Tzachi Hanegbi (Likud) took part Wednesday in the funeral of Hodaya Asulin, and spoke about the issue of the death penalty for terrorists and the lack of deterrence against terror attacks. At the beginning of his words, Hanegbi eulogized the Hodaya of Mevo Horon, who was seriously injured in an attack in Jerusalem in 2011. Hanegbi took part in her funeral. "We are used to terrorism and pain and loss, but when a young woman at the very beginning of her life struggles for seven years - and every time there were hopes for good news and a miracle - and this does not happen, that is twice the pain," said the Minister. On the question of the death penalty for terrorists, Hanegbi said, "It is hard to deter people who are willing to die, and therefore the death penalty for those who have decided to die and commit suicide is not a deterrent." "There is an argument over moral matters. Even if it is decided to make a change in policy, there are people who will not be deterred, like ISIS, for example. This is a step that is morally necessary, but it will not deter. " The partial destruction of the house of the terrorist who carried out the attack on Har Adar deters, in your opinion? "Anyone who has learned the subject knows that there are two punishments that deter and do not concern the person himself: Deportation of family members out of Israel is the most effective, unfortunately the legal system has still not settled on this punishment for countless reasons - [in any event,] in practice it is not currently a possibility. Perhaps it is necessary to act differently and to make deterrence effective, in an era in which the judiciary is eroding the capabilities of the legislative branch? "The issue of deporting [the family of the terrorist] is in a serious dilemma in court, including the Supreme Court. It doesn’t permit the punishing of people for the crimes of their relatives. We are still struggling because we know how to link the families, the education and the incitement they shared with their children - but practically, it is difficult to prove, so I am not optimistic about the punishment of deportation as an accepted punishment in court. "